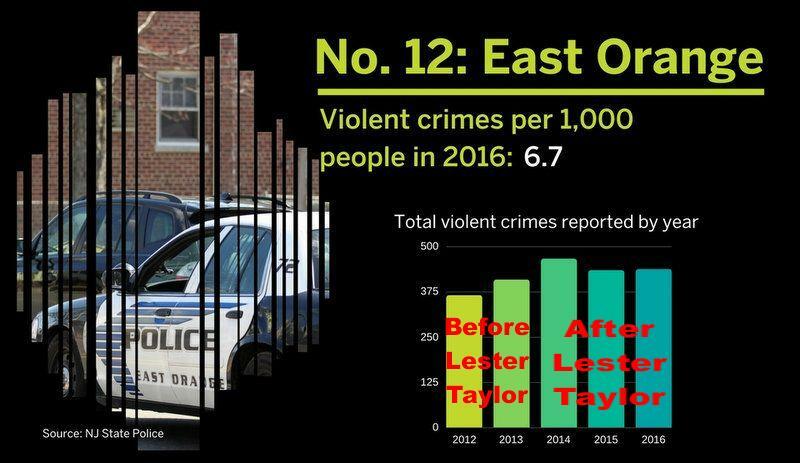 Incidents and links to news verification of East Orange residents involved in violent crimes or deaths. Anthony Taylor of EO Arrested in Newark for possession of loaded handgun. 13 Gang Members Arrested in EO Because "Citizens Complained About Drug Dealers"
Alain V. Antoine of EO charged in Newark Shooting on Jan.10th. Armed Robbery on N. Harrison St.
Armed Robbery at Gas Station on Central Ave.
* A toy gun or BB gun "counts" because the robbery was successful; the victim thought it was real and if someone had shot the perpetrators, it would have been a legitimate "self defense" case. The criminals should be charged with armed robbery as if the gun were real. ** A perpetrator who refuses to show his hand(s) during an arrest and who is subsequently killed by police during the arrest could have had a gun concealed, and so this also "counts." There is no cure for "stupid." * Victims that were within the borders of EO when they were murdered. effort to hide the information from East Orange residents for political reasons. 02/02/17 Attempted Murderer: Alain V. Antoine of EO charged in Newark Shooting on Jan.10th. Alexander Wilson, 29; Elijah Morris, 26; Antawan Lang, 27; Akeeme Thompson, 25; and Solomon Cooper, 32, all of East Orange. who was shot and wounded during the Columbine massacre of 1999. Stop the Madness. Let's seek a REAL solution.